If you missed the first installment of eight of the masterpieces in Seattle in July, this is your chance to see some of them in Portland. The NW Film Center in Portland & the Portland Art Museum present ten movies from the Martin Scorsese's Masterpieces of Polish Cinema listed below. In Seattle, the second installment of another eight masterpieces is coming to the NW Film Forum on Oct 5 - Oct 9. Movies screened Oct 1 - Oct 7 are listed on the October 2014 page. The Polish language Radio Wisla in Seattle invites all listeners, members, former collaborators, volunteers and friends to a celebration of the 10th anniversary of the radio. The program includes performances by Marzena Szlaga (piano), Marzena Bachowska (vocal) and Aurica Hayes (violin) as well as reminiscences of the past achievements and Q&A with the current all volunteer staff of the Radio. The children dance group Young Polanie and theatre group Biedronka at the Polish Cultural Center looks for girls and boys age 6 and older. If you like Polish folk dances & songs or theatrical performances, join the groups. The Young Polanie group performs for both American and Polish audiences and at ethnic festivals. The Consulate General of the Republic of Poland in Los Angeles kindly informs that a consular outreach visit to Portland to process passport applications for Polish citizens is scheduled for Sep 25, The Consul is available from 9 am to 5 pm and reservations are required. The reservation system has changed - to make a reservation send an email to losangeles.kg.paszporty@msz.gov.pl stating your name, DOB, the PESEL number and a preferred time. A consular outreach visit to Seattle is expected in 2015. Where: At the Polish Hall & Library in Portland, OR reservations required - please contact the consulate. Come to the Polish Cultural Center to celebrate the 95th birthday of the WWII hero Cpt. 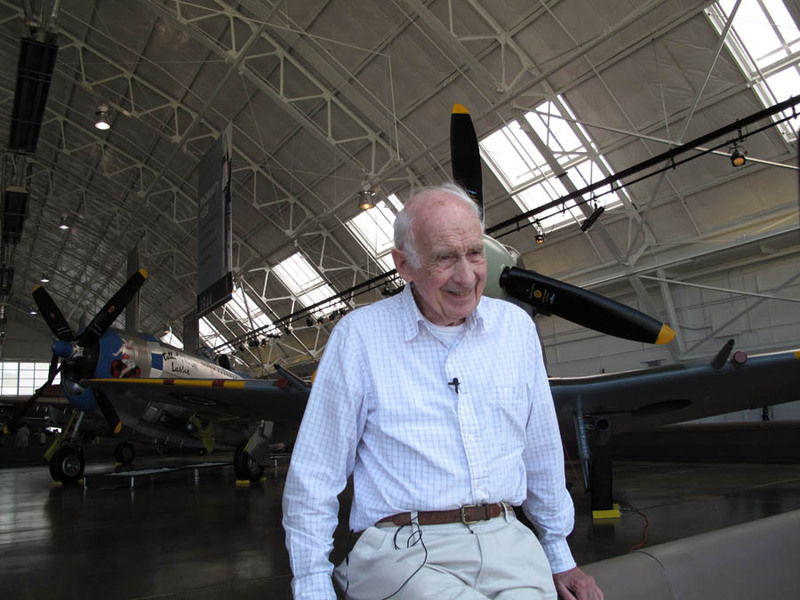 Alex Herbst and to support a documentary movie about him Spitfire Liberator: The Alex Herbst Story. Mr. Herbst was a fighter pilot flying Spitfires with the famous Polish RAF squadrons 303 & 308 in missions over Great Britain and Europe. The movie has been recently finished and will premiere at the Seattle Polish Film Festival in October. At two full days of attractions, it's the biggest and the most colorful Polish Festival in the western United States. Each year the Festival features exhibitions, jazz or piano concerts plus the two full days of performances by the best Polish folk groups from the west coast US and Canada, variety of merchandize and tons of pierogi & other Polish food as well as Polish beer. There are also polka contests on both days and dancing on the Saturday evening. The Polish Cultural Center invites everybody to the Farewell-To-Summer Party. Music by DJ Filip from Portland. The restaurant will be open from 7 pm to 10 pm; the bar will be open from 7 pm. The Polish Home Association invites everybody to a workshop led by members of the folk group Jedliniok, a Student Dance and Song Group from the University of Wroclaw, Poland. They come to Seattle for a concert on Sep 16, but they also offered a workshop on Polish folk dances. Come to learn how to dance the polonaise and other folk dances or watch the moves and have fun. More: Jedliniok site, contact Barbara Strutynski at (425) 746-3037. Jedliniok also gives concerts at the Polish Days in Vancouver, BC (Sep 13-14) and at the Polish Festival in Portland (Sep 20-21). Fr. Eugeniusz Bolda and Sts. Peter and Paul Parish in Tacoma invite everybody to a Polish harvest festival. The program follows the mass of Thanksgiving at 11 am and includes traditional Polish food, beer, music, souvenirs, games for children and more. More: Contact Fr. Bolda & to the Parish is (206) 282 1804. 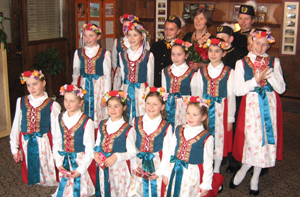 The Juliusz Slowacki Polish School in Seattle offers classes to individuals of all ages. Children from grades 1-8 learn Polish language & literature, as well history and geography of Poland; assignment is based on proficiency level in Polish. Adults can learn Polish as beginners or at intermediate & advanced levels. All classes at the Polish Cultural Center in Seattle on Mondays starting on Sep 15, 2014. Rainbow of Magnolia Fountains of Life & Chopin Academy of Music present a fundraising concert for a school in Panauti, Nepal. The program includes Szymanowski's Etiude Op 4/3, Mozart's Sonata in D Major, Liszt's Faust Waltz, Bach's English Suite in G Minor, Prelude & Fugue in D Major, and Prelude and Fugue in A Flat Major and Schumann's Carnival aux Wien. The performers include star students from Chopin Academy of Music: Robert Yan, Arthur Yan, Alex Camai, Nile Camai and Laiza Williamson. Where: at the Polish Cultural Center Dom Polski; suggested donation $35 - Rainbow of Magnolia will match all donations up to $5,000. The Polish Home opens after the summer break in the week after the Labor Day. In particular the restaurant and the bar will be open on Friday nights starting from Sep 5, 2014. The Sunday lunches start in October. Ms. Teresa Indelak Davis, a very well-known and respected member of the Polish community, becomes the Honorary Consul of the Republic of Poland in Seattle. The inauguration ceremony attended by Consul General Mariusz Brymora and other guests marks the opening of the Honorary Consulate of the Republic of Poland in Seattle, with the jurisdiction covering the entire State of Washington. Congratulations! The role of the Honorary Consul is to assist the Polish Consulate in Los Angeles in promoting exchange and relations between the State of Washington and Poland, facilitating official delegation visits from Poland, promoting tourism information and providing basic consular services to Polish citizens who are visiting or residing in our state. Fr. Jan Twardowski Polish School in Bellevue invites children from the Eastside as well as Seattle. The School is separate from the Polish School in Seattle. Subjects include Polish language, geography, history and culture classes offered to children from grades K (zerowka) to 8, based on proficiency in Polish. The School also has a program of Polish as a second language for children. All classes are on Wednesdays at 6:00 pm. The first day of school is Sep 10, 2014. Where: open house & registration at the East Shore Unitarian Church Education Building, Bellevue. More: Polish School in Bellevue, School email contact or Anna Cholewinska at 425 736 1209.